We just witnessed the end of VaingloryLeague’s NA Qualifier for the World Championship in Seoul, Korea. Top talent from around the country competed in a flurry of games for the top seed and a shot at the world stage. In the aftermath, I’ve put together some suggestions for SuperEvilMegaCorp, ESL, VaingloryLeague, and every other tournament organizer to step up their game to the next level. Too many games are being decided in the hero selection screen. Tournament games aren’t restricted to the same boundaries set by the app. In the early days of League of Legends, before there was a tournament server or draft pick, teams would group in a lobby, and captains would declare bans, followed by picks. Then heroes could be drafted and kept away from the enemy team, and the existing game style could still facilitate this game mode. There is nothing preventing the top tournament organizations from introducing this today. They already do bans, and this is the next step in the evolution of the process. This also still applies if the picks are not exclusive, meaning if a team picks Glaive, the other team can still select Glaive as their picks. This might prove important in certain scenarios (for example: when the game only has 15 heroes). Many games are dominated by heroes that are strong early. It’s too difficult to maintain vision or coordinate defenses against a strong invade comp. Once the enemy team has dominated your jungle, even with creeps dealing true damage, there’s no reason for them to leave. They can refuel at the jungle shop that is essentially off-limits for your team, and you have no advantage for fighting in your own jungle. Initiating a “Draft Mode” pick phase could allow a team to see this early aggression being selected, and counter-pick accordingly. One more element of strategy for teams and analysts. SEMC is still working out the kinks with vision; they just introduced a new item that generates stacks to produce either Scout Traps or Flare Guns, as well as re-worked Flare Guns. Players are still not satisfied with the current state that vision is in, and that’s partially because its inconsistency. There are times when I have a Scout Trap down and I see a Taka coming in stealthed from a mile away. Other times, Taka is standing right on top of me while I’m surrounded by Scout Traps, but I’m unable to see him. The fog of war granted by bushes has also proven to be problematic, both with neutral monsters, as well as enemy heroes. I juked the pants off a full team and abused vision mechanics to escape, but this was only possible because I knew that vision would fail for them. Due to the fact that Scout Traps are permanent and vision is paramount in competitive play, having a delay on stream is critical in competitive matches. There is no excuse for a team to lose their strategic advantage because the other team is able to spectate their every move. Twitch currently only provides a 20-30 second buffer, and spectator mode is live. This means that Twitch streams need to be pre-recorded games (not an elegant solution) or include at least a three minute delay. League of Legends tournament matches (and spectator mode in general) historically included a three-minute delay because vision wards lasted precisely that long. Because Scout Traps last until someone walks over them, a well-placed Scout Trap could potentially provide vision for a full match. If a team can see you place a Scout Trap 35 seconds after you invested time and money into its location, the strategic advantage is lost. 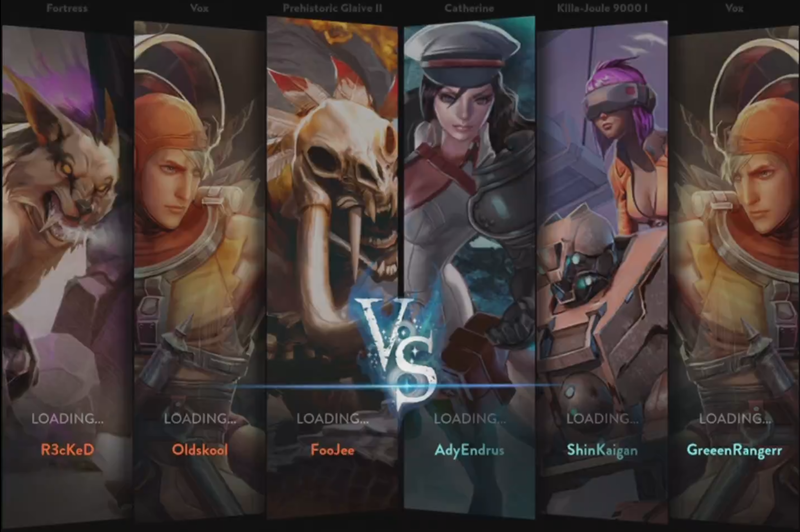 Competition in Vainglory is at a point that no one expected it to reach in the first seven months of public release. Guilds have been formed, tournaments have taken place (both large and small), and the world finals have been announced. Luckily for everyone involved in this game and this community, action is always being taken to improve the experience for players and spectators alike. The first step is getting the wheel to squeak, and then SEMC is quick to apply some grease. There may be some who don’t agree with what my squeak says, but regardless of where you stand, let your voice be heard! Leave a comment, or send me a (non-malicious) tweet! A single bracket game doesn’t clarifies who deserves to be the winner. Best of 5 on VGLNA finals was great to watch! Ok, I’m going to comment on my own post after seeing some of the comments and add one more thing. I would probably add best-of-3 and best-of-5 matches. When the finals were best-of-5, it really made each match more exciting than the last. Spoilers incoming… stop reading if you don’t want to know how VGL NA ended… Fusion came out of the gate and won game one, but lost the best-of-5. Gankstars did have a one-game advantage coming from the winner’s bracket, but they didn’t let the strategy of Fusion from game one decide the winners of the tournament. They re-grouped after the first game and were ready for game two. I think including a best-of-X into the tournaments might provide another layer of complexity to the competition.